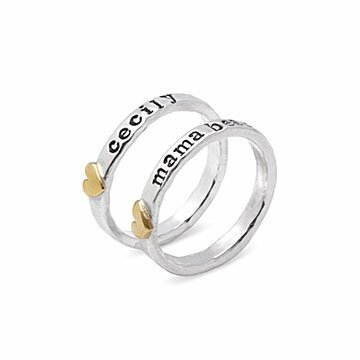 Wear your love for your favorite people loud and proud thanks to this customizable ring. Mama Bear. My Person. Bestie. Express your love for the people you hold dear with a customized sterling silver ring. Canela Lamoine will carefully engrave a word, phrase, or name of your choosing (up to ten characters) so that you can wear a constant reminder of your personal tribe. Handmade in California. It's a ring I wear on my right hand.